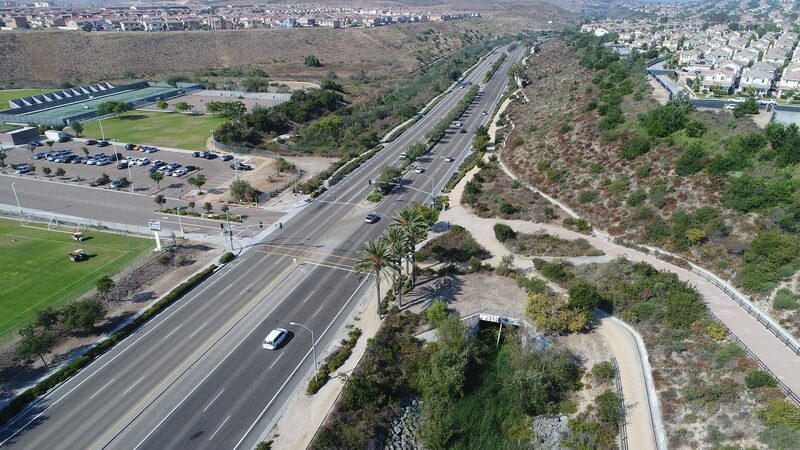 Hunsaker & Associates provided the civil engineering design and construction surveying of 4.1 miles of the six lane Olympic Parkway located in the City of Chula Vista. Design and construction of Olympic Parkway was accomplished in three phases. A vegetated trapezoidal channel and a series of box culverts were constructed adjacent to the road to handle the Poggi Canyon runoff. A detention basin with a capacity of 700 cfs was constructed along the channel adjacent to the roadway. H&A prepared a detailed pre- and post-development HEC-1 watershed analysis of Poggi Canyon, designed drop structures within the channel, and prepared a HEC-RAS floodplain analysis. Two 12” domestic water lines. This project required coordination with several agencies including CalTrans for the future on and off ramps to SR125. 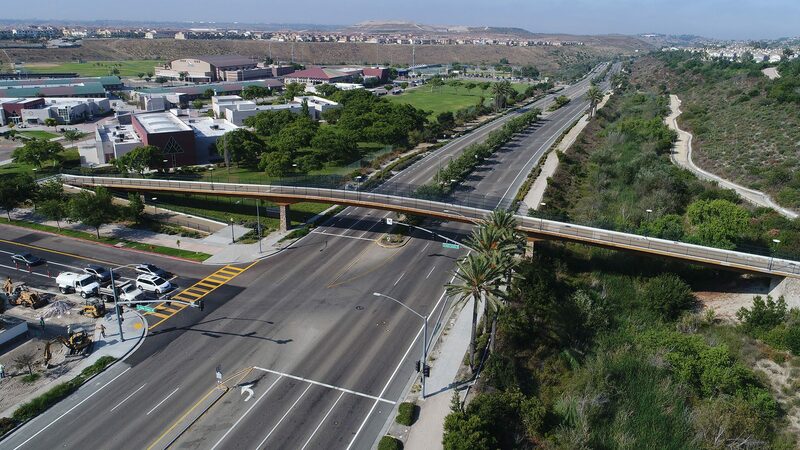 In partnership with the City of Chula Vista, an aggressive design timeline was required for the city to receive funding from federal and state agencies.